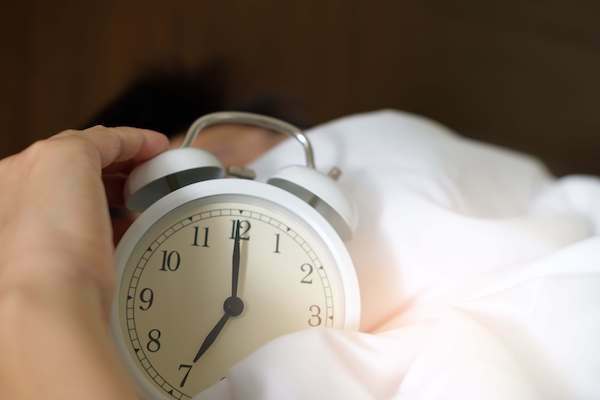 Whether you’ve been told that you’re snoring, you find it hard to fall asleep or you’re too tired when you wake up in the morning, you’re probably worried that you have a sleep disorder. As such, sleep studies are required to discover your problem and work to treat it, so you can go back to sleeping like a baby. However, you may worry about the costs of such procedures. If you have Medicare or you’re planning to enroll in it, you might have asked yourself if it provides any coverage for sleep studies. Read on to learn more about what Medicare covers when it comes to sleep studies. It’s quite difficult to discover a sleeping disorder during a normal doctor visit – so, sleep studies are required. Basically, what a sleep study involves is having a doctor monitor you over the course of the night. Through this procedure, the doctor can find out what it’s causing your sleeping problems, and diagnose things such as insomnia, narcolepsy and more. It works by having an EEG analyze of your sleeping cycle. If there are any disruptions in your REM and nonREM cycles, the EEG will notice it and help set the diagnosis. Does Medicare Offer Coverage for Sleep Studies? Medicare can indeed cover the costs of a sleep study, but it has specific requirements that you need to take into consideration. This is why talking to a healthcare provider is essential before you sign up for it. Basically, you need to find out if Medicare is accepted by your sleep study lab. In case you have sleep apnea, Medicare Part B is the plan that covers the sleep study tests which are absolutely necessary. The coverage includes some home sleep study monitors such as Type II, Type III and Type IV if you give signs of obstructive sleep apnea. Concurrently, it may cover the PSG test in case a certified lab facility is performing it. What’s even better is the fact that Medicare may cover a trial of three months for CPAP therapy, which aims to find out how you are responding to this type of treatment. However, even if certain sleep studies are covered, you may still have to pay some additional costs. For example, you have to pay an applicable Part B deductible, as well as 20 percent of Medicare-approved charges. Even so, if you enroll in a Medicare Supplement Insurance plan, the 20% coinsurance will be covered by one of the eight plans offering this benefit. Therefore, you need to conduct a lot of research on the Medicare plans before settling for one that will help you. Tests are needed to find out the source of a problem – this is why sleep studies are so important for those who find it very hard to get some rest during their sleep. If you have Medicare Part B, some costs may be covered, whereas a Medicare Supplement Insurance plan may also get you rid of the 20% coinsurance. Make sure you choose a plan that will allow you to perform the tests without spending all your money.